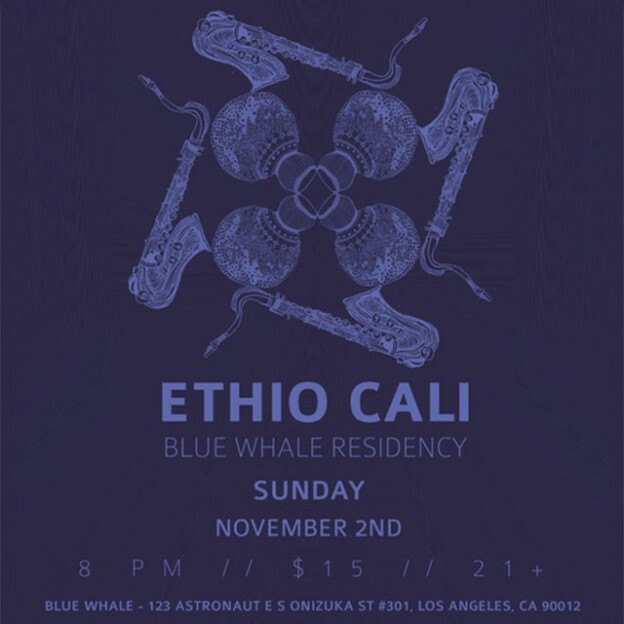 On Sunday, November 2nd, Ethio Cali will play two sets of music inspired by the concept of Tezeta. Tezeta, an Amharic word from Ethiopia, loosely translates to nostalgia or longing. Tezeta is also one of the popular musical scales found in Ethiopia. Typically, Tezeta is associated with the memory of love lost, or the longing one feels when living far from home or their place of birth. It triggers emotions similar to that of saudade in Portuguese music, duende in flamenco, or the blues in America. We hope you’ll join us for this special night of Tezeta at the blue whale.